The username or password provided is incorrect. Please provide an email address. Verification code is not correct. Password must have length greater than or equal to 6 and include uppercase, symbol and numeric characters. Email address is already taken. You may have signed up already. Password is not valid. Please make sure it is at least 8 characters long and contains at least an uppercase letter, a lowercase letter, a number, and a symbol. Passwords don't match. Please enter your passwords again. Please provide a first name. Please provide a last name. 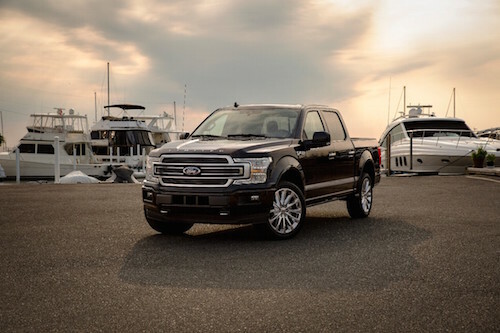 See our best deals on a Ford F-150 near Moore, OK. View Ford F-150 prices in our inventory including lease and finance offers. Check our listings for price reductions and special offers near Moore on new and used cars. The Reynolds Ford Financing department will explain your options for buying or leasing a Ford F-150 near you. We offer a variety of affordable auto financing options and can help you buy a car even if you have less than perfect credit. Contact or stop by our dealership soon to explore the full lineup of new and used Ford F-150 near Moore, Oklahoma.